Is there a gent among us who hasn’t spent an idle hour daydreaming about crafting the ultimate beer or ale? From the branding and the bottle, to the flavour and the body, most of us have probably brewed a best-selling beverage or two in our mind’s eye before. But why stop at daydreams? Why not get stuck into a proper project? There is plenty of kit out there, just waiting to become your next obsession. 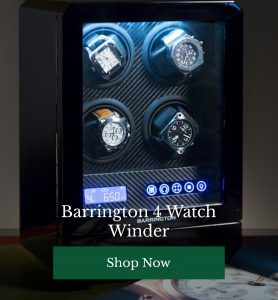 From basic starter kits, to full blown serious contraptions, there’s a whole lot of equipment to set up in your shed, garage or man cave, at a wide range of price points. 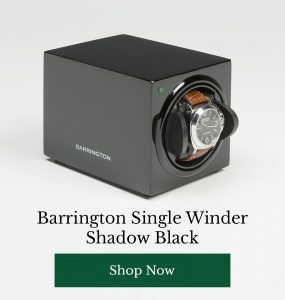 To help get you brewing, the Barringtons Watchwinder team has rounded up some bits of kit they’d like to play with! The tasty brew you’ll be able to create right out of the gate with this kit is a delicious all-rounder. Amber, citrussy, hoppy with a toffee maltiness, this is a real all-round winner, even for non-ale aficionados. 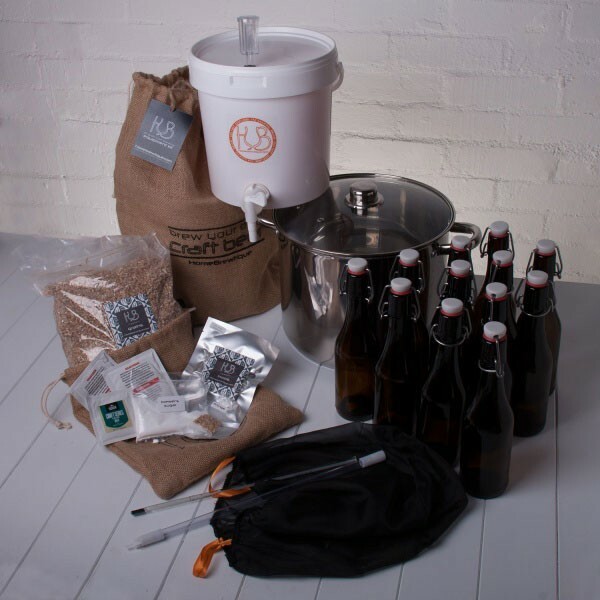 This starter kit will help you familiarise yourself with the brewing process and yield batches of four litres. It even comes with bottles and labels. 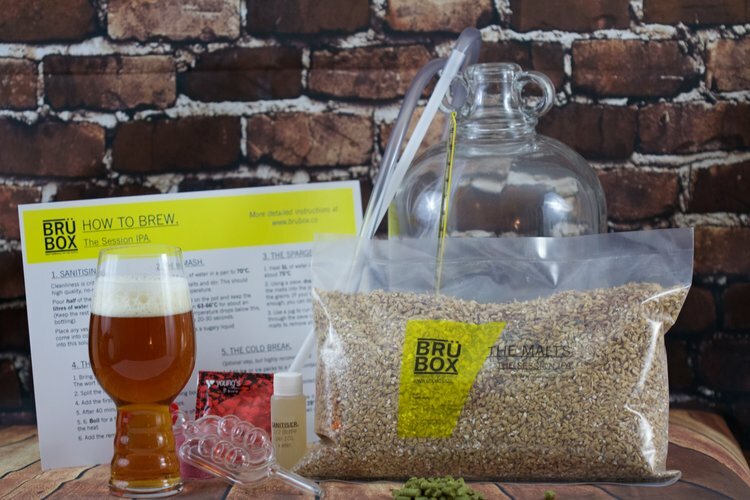 Rendering four and a half litres of (hopefully) delicious home-brewed beverage, this well-designed kit from BruBox equips you with all the tools and ingredients you’ll need to make a session IPA, a porter or a weissbeir – the choice is yours. 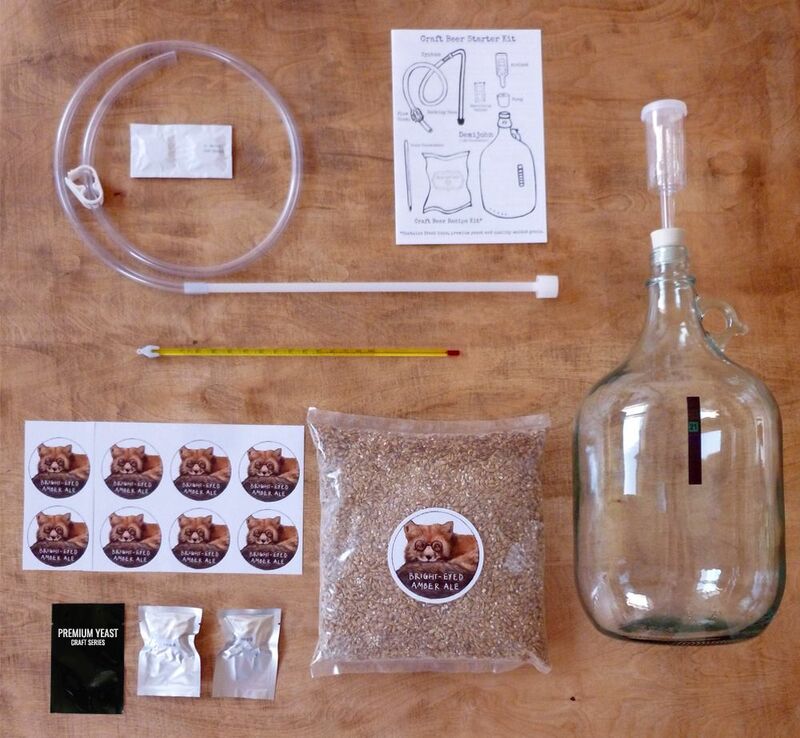 Featuring a demijohn, siphon, thermometer, sanitiser and all the other essentials, this kit is a good place to start if you’ve never brewed before, complete with clear instructions. Don’t want to follow anyone else’s recipe and prefer to create your own concoction from scratch? 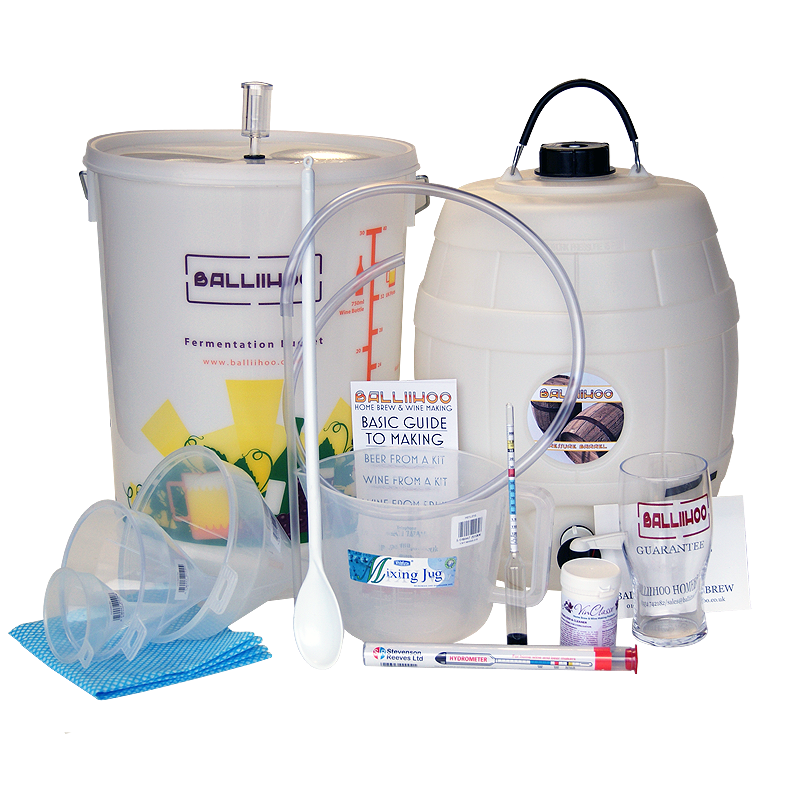 Balliihoo’s starter set is very affordable and contains everything you need to get brewing more creatively. This rather nice brewing set is a little pricier, but a little nicer too, if you’re looking to avoid less elegant plastic equipment. 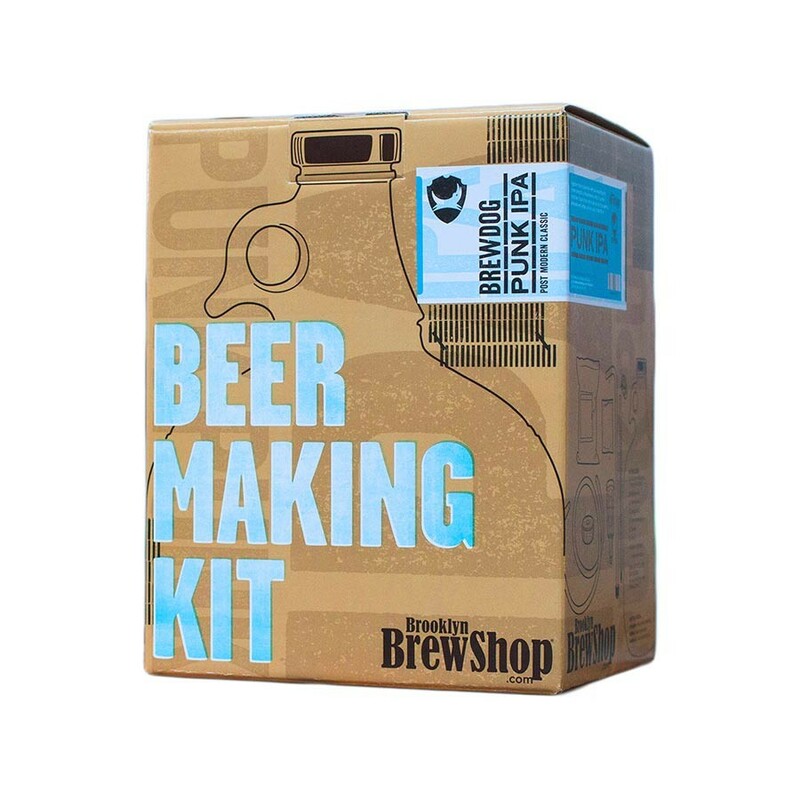 Unlike some brewing kits which require little more than diluting extract before fermenting, this kit allows you to take charge of every part of the brewing process – like a proper craft brewer! Fancy a more low maintenance approach to brewing which offers more consistent (read: drinkable) results? This kit from cult beer brand BrewDog allows you to create their much-loved Punk IPA in just two weeks. With a caramelly flavour and tropical notes, this is a tasty and straightforward homebrewing option. Have you tried brewing your own beer or ale at home? What were the results like? Share your experiences and stories with other readers below.